Environmental Risk Factors for Autism: Do They Help Cause De Novo Genetic Mutations That Contribute to the Disorder? Environmental Risk Factors for Autism: Do They Help Cause De Novo Genetic Mutations That Contribute to the Disorder?. Here is one of the studies that confirms that mercury can alter genetics and may be a contributing factor in the Autism epedemic. Media reports like to pretend that this science doesn’t exist, but there is a plentiful amount of evidence that is more than anecdotal which demonstrates the connection between Autism and Heavy metal toxicity. When you add to the studies the anecdotal evidence that chelation has resulted in huge gains in quality for life for at least 75% of those who have demonstrated toxicity levels the possibilities are enormous. 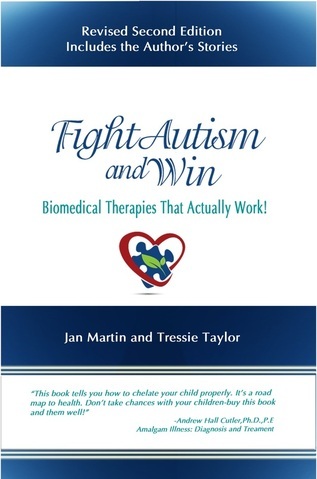 When you learn that chelation and vitamin protocols are both safe and effective the question becomes why not try something that will not harm your child but has the potential to recover them? As parents we can act now to heal our children. We do not have to wait for popular medical opinion to accept the obvious solution. Even so, science is beginning to catch up. ← Anti-Fungals and Anti-Bacterials that Work!